We are enlisted amongst the most reliable Brass Meter Parts Manufacturers in India. The Brass Energy Meter Parts offered by us includes brass screw, brass sealing screw, brass terminals etc., meeting the requirements of various applications. The unmatched quality and unsurpassable performance of the Energy Meter Spare Parts has attracted various national as well as international clients to place bulk orders. Moreover, the Brass Meter Parts are available in varied sizes, dimensions and finishes as per the specifications provided. 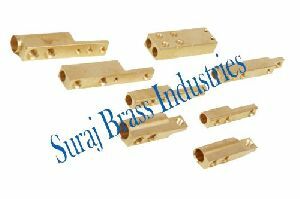 Any special brass material composition as per customers specifications and requirements. 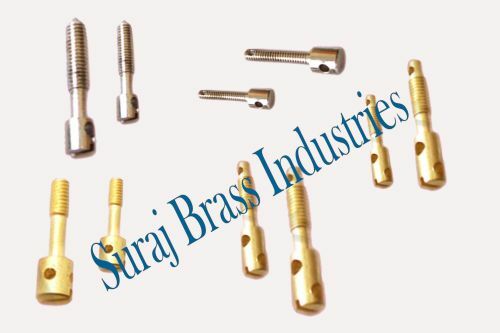 Natural Brass, Nickel Plated, Chrome Plated or any coating as per customers specifications.